I’m a big fan of making quick bread’s. 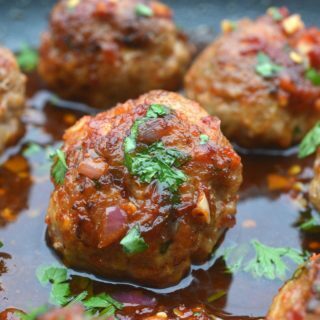 Typically they are a simple one-bowl recipe and from sweet to savory, the variety is almost endless! 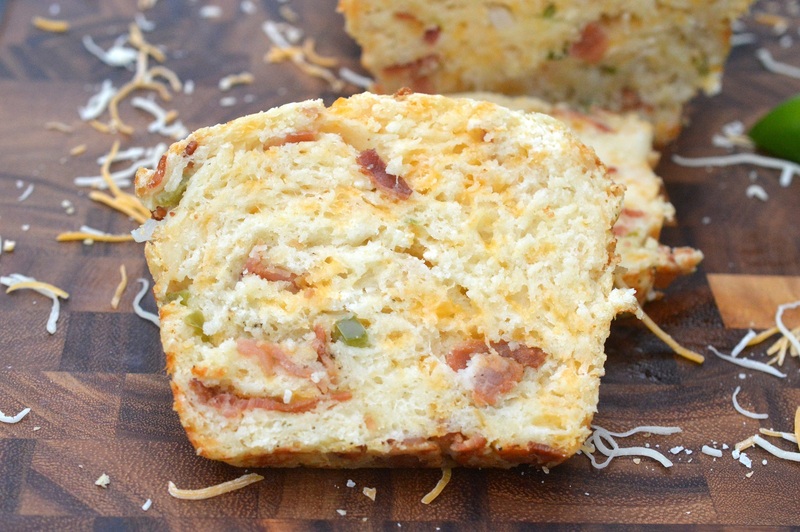 This Bacon Cheese Jalapeno Quick Bread makes a scrumptious sandwich bread, soup dipper, morning toast or snack. To be completely honest, I am a wimp when it comes to yeast because I’m both nervous about making yeast bread and lazy. Seeing how I am not much of a planner and I am definitely a fly-by-the-seat-of-my-pants cook I want what I want when I want it and just don’t want to wait for my dough to rise since I probably didn’t plan ahead. Lucky for me my favorite La Brea Bakery Breads are waiting for me at my local ACME, all I have to do is pop a loaf or rolls in the oven for about 8 minutes and the result is the hot, crusty, delicious bread made for me by the pros. Also, my favorite local pizza place makes the BEST pizza dough for just $2.50 a disk, so that is my go-to. I’ll never make dough or bread as good as the professionals do. I stay in my lane and do what I do best. 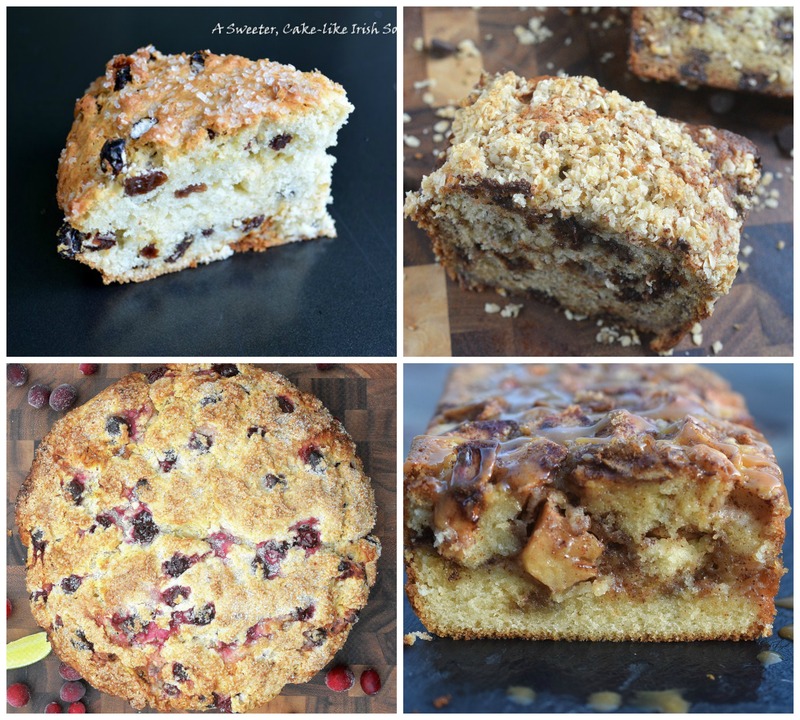 I stick to quick bread like my “famous” Sweet Irish Soda Bread even the TODAY show featured it, Banana Streusel Bread, Cranberry Lime Soda Bread, and No Yeast Caramel Apple Bread. Miriam Webster defines a quick bread as any type of bread leavened with leavening agents other than yeast or eggs. One of the advantages of a quick bread is their ability to be prepared quickly and reliably, without requiring the time, effort and climate control needed for traditional yeast breads. How Do You Make Bacon Cheese Jalapeno Quick Bread? Start with cooking your bacon, after that add your ingredients, mixing gently as you do. 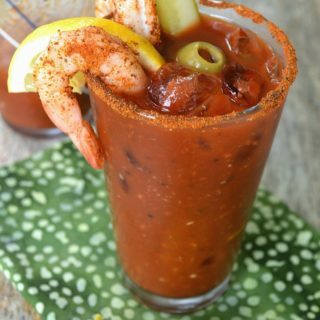 No mixer necessary. Making a quick bread is best done with a spatula by hand so your batter doesn’t become overworked. The more you mix it, the more rubbery and dense your quick bread will be. All you want to do as you add in your ingredients is gently stir/fold the mixture until moist and just incorporated which will yield you softer, more tender bread. 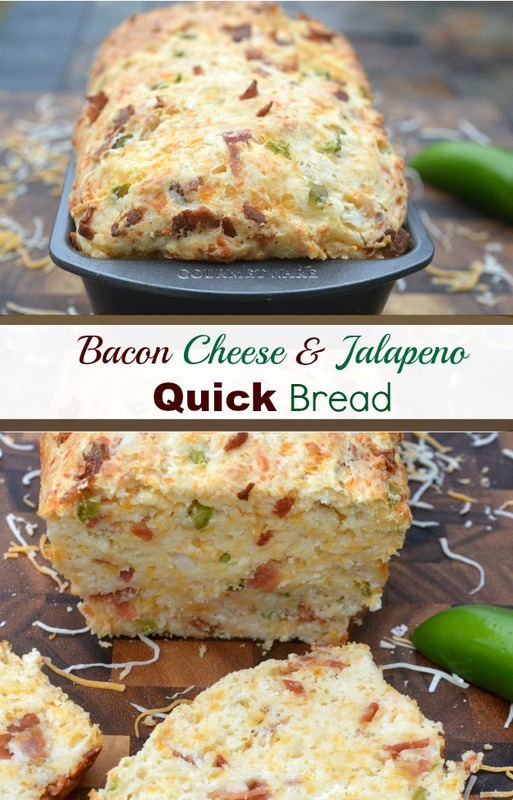 What Can You Do With Bacon Cheese Jalapeno Quick Bread? 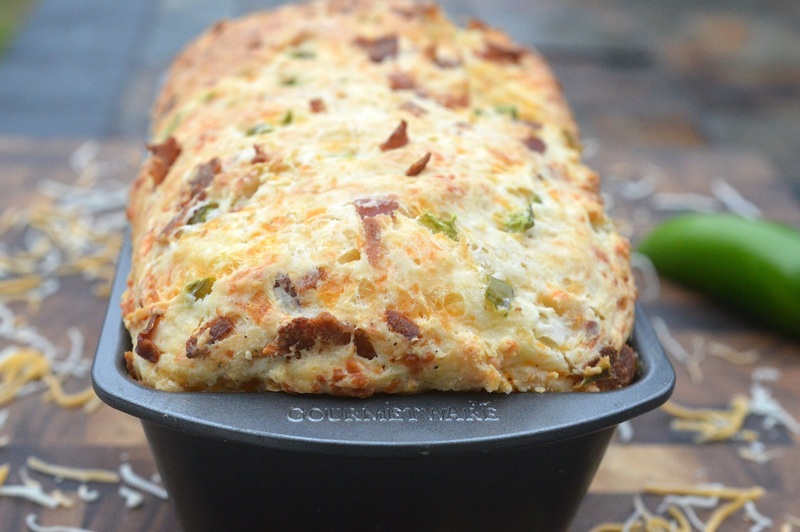 After you make this Bacon Cheese Jalapeno Bread you, of course, want to dive right in and enjoy a warm piece with a smattering of good butter because…YUM!. After that, slice on the thicker side and use for things like toast it for breakfast, use for sandwiches or cut into nice thick cubes for dips or enjoy as is. 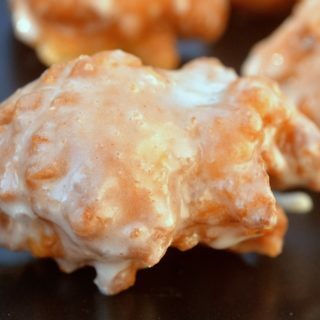 And good news, you can also choose to make this recipe as muffins or drop biscuits. 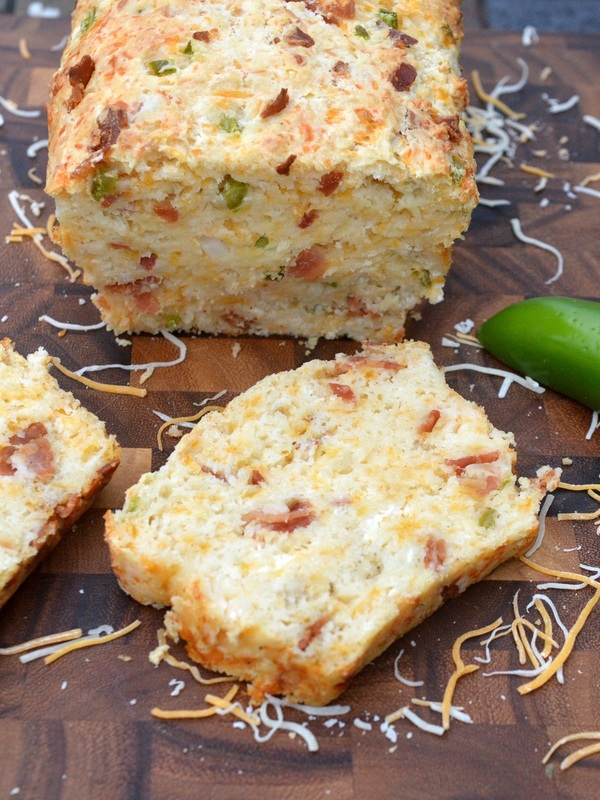 Can You Freeze Bacon Cheese Jalapeno Quick Bread? I have not frozen it myself since it is always gobbled up, however, I can’t see why you can’t freeze it. Just wrap it tightly in foil in slices, place in a freezer bag and take out a slice when you wish to enjoy it. 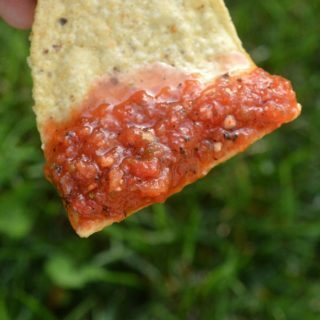 Heat a slice in the oven until warmed through or crisped up, depending on how you enjoy it. What is YOUR go-to quick bread? Or your grandparent’s go-to bread?? 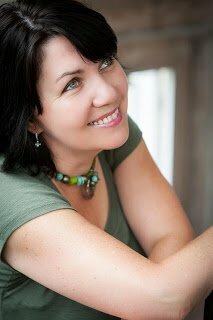 I’d love to hear it as I am a huge fan of vintage recipes and quick bread recipes. 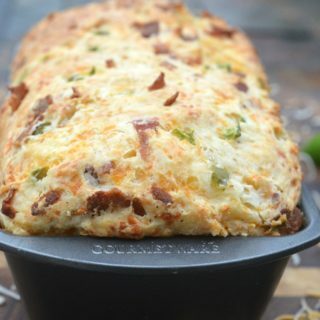 This savory Bacon Cheese and Jalapeno Bread <g class="gr_ gr_66 gr-alert gr_gramm gr_inline_cards gr_run_anim Grammar multiReplace" id="66" data-gr-id="66">is</g> delicious when enjoyed hot from the oven, used for sandwich bread or toasted for breakfast! Cook your bacon until crisp. Blot grease, cool and crumble. Set aside. Whisk together flour, salt, baking powder, and sugar. Set aside. In your main bowl, mix together cream cheese, shredded cheese(s), jalapenos, scallions if adding and bacon. Mix just until combined. Add flour mixture to the cheese mixture along with the egg, milk and melted butter and mix just until combined. Bake in a greased loaf pan for 45-50 minutes or until a toothpick inserted comes out mostly dry. Got a Question: Is there a way this quick bread could be made in an Instant Pot? I have a sister that currently lives on a boat and no Oven!? Yes!! Either way will work. 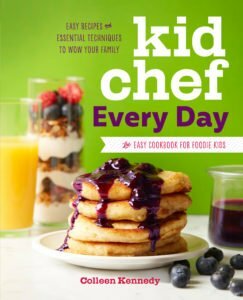 Hi Cari, I have no experience with almond flour (kids are allergic to nuts). if you can typically substitute it for AP flour, however…I can’t see why not.